The Atlanta area experiences around 6,000 incidents of auto theft every year. While most new cars come standard with security features, such as an immobilizer system or a GPS device, security experts agree that owning a car alarm system, or adding to your vehicle’s current system, is highly beneficial. 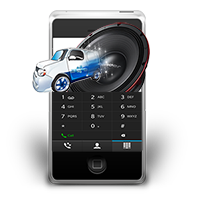 As the car alarm installers Atlanta drivers have trusted for more than 15 years, we at Drops Mobile Electronics are committed to providing outstanding service. Many alarms require that the installer works with the car’s current wiring system, and it’s important to know whether the alarm system needs to be hardwired or if it is a wireless model. Whether you would like to purchase one of our trusted models, or you have your own model you need installed, we have the skill and experience to ensure that it is installed correctly. High-end car alarms such as Viper models are all that we recommend installing. Avoid the cheaper models as we have found major quality issues. There are 3 major types of alarms which we install; 1-way, 2-way, and App control car alarms. Please contact us for more information or to help you decide the appropriate type for your vehicle. As a mobile company, we take the hassle out of the installation process by meeting our customers when and where it is most convenient for them. Providing the car alarm installation Atlanta vehicle owners rely on, we have experience in installing alarm systems in every type of vehicle, including cars, RVs, and fleet vehicles.